﻿Researchers have shown that a class of experimental drug treatments already in clinical trials could also help the body's immune system to fight cancer, according to a study published in the journal Cell. Scientists revealed that a protein called Focal Adhesion Kinase, or FAK - which is often overproduced in tumours - enables cancer cells to elude attacks by the immune system. FAK usually sends signals to help healthy cells to grow and move around. 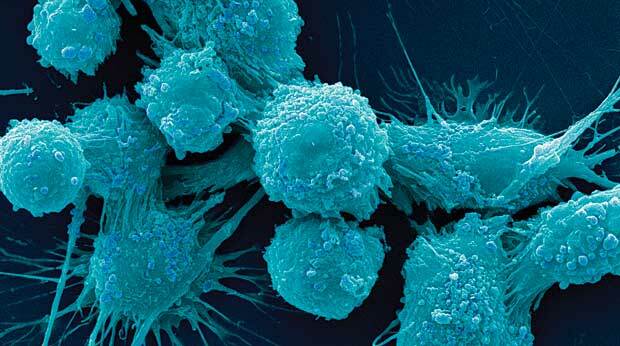 But the researchers discovered it plays a different role in cancer cells, changing the nature of the immune system so that it protects the cancer cells rather than destroying them. They then showed that using an experimental FAK inhibitor prevented this change in the immune system allowing the cancer cells to be treated as a threat. This is the first time that FAK inhibitors have been shown to influence the immune system, and particularly whether or not it recognises and fights cancer. This provides an unexpected and exciting potential new use for existing FAK inhibitor drugs. The research was carried out in mice with a form of skin cancer called squamous cell carcinoma, but is likely to also apply to other cancers. The results showed that tumours completely disappeared when the mice were given FAK inhibitors. "The drug in this study is already in early stage clinical trials and could potentially be an excellent complement to existing immunotherapy treatments. Because it works within tumour cells rather than influencing the immune cells directly, it could offer a way to reduce the side effects of treatments that harness the power of the immune system against cancer," the researchers said. Based on material originally posted by Cancer Research UK.